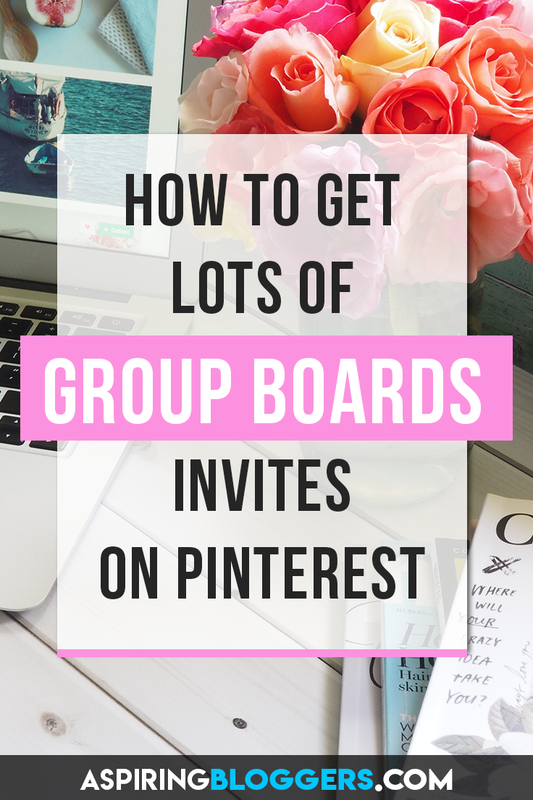 If you’re new Pinterest, it can be really difficult getting group board invites! I googled and read many articles on how to find Pinterest group boards and join them, but nothing worked. Everyone online suggested that I pop onto pingroupie.com, find a relevant group board, follow the joining instructions in the board description. Using this method, I must’ve sent about 40 emails and a bunch of messages to different board owners requesting to join their Pinterest group boards. I got 0 replies, and 0 invites. I just couldn’t figure out why I other lots of other people with new accounts were getting group board invites while I wasn’t getting any. I was fed up with not getting results and so I decided to stop listening to other people and figure out my own strategy. Only a few weeks ago, I took part in a grand total of 0 group boards. Before I share with you the secret to my group board joining success, you need to first make sure that people are already consistently sharing your pins onto their group boards. If you already have lots of repins, let’s get started! Tailwind has a page that tells you who pinned your pin and what board they pinned it on. You can access it by going to Monitor Your Domain > Organic Activity. There you’ll find all the pins that link to your website, including any repins from other Pinterest users. Alternatively, you can also check who pinned your pins by going to https://www.pinterest.ca/source/aspiringbloggers.com/ and replacing it with your URL at the end instead of mine. I noticed that one of your collaborators just pinned one of my pins onto your group board – Blogging Tips & Tricks. Why does this message format work? Because right in the beginning of the message, I’m already giving myself credibility by mentioning that one of the collaborators of the group board already pinned one of my pins. So what’s the harm in adding me as a contributor as well? It gives little reason for the board owner to refuse my request. Best case scenario, a group board owner pins one of your pins onto their group board. In this case, I usually replace “I noticed that one of your collaborators” with “I noticed that you.” If the board owner pins your pins, there should be absolutely no reason why they shouldn’t add you as a contributor! This is the strategy that has gotten me invitations to 15+ different group boards in just two weeks. Some of the group boards I’m a part of now even have over 20,000 followers! All you have to do from then on is keep repeating these steps as often as possible to get as many group board invites as you can. 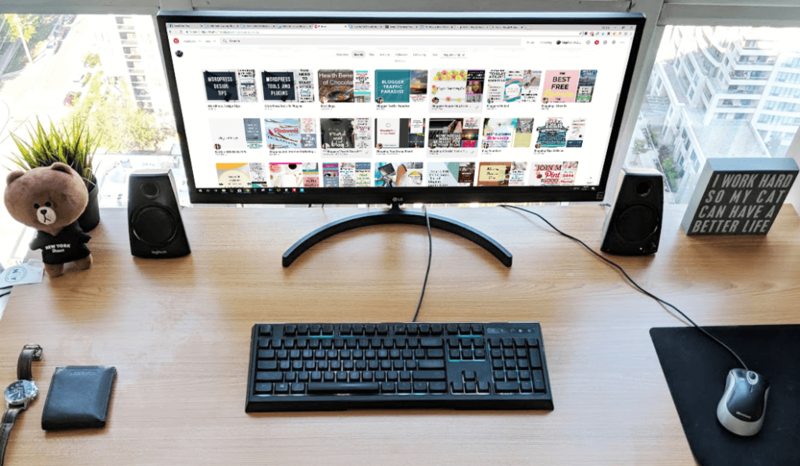 Pinterest is a very popular platform so there’s a very high chance that there’s another Pinterest user who’s in the same niche as you and has similar board topics. For this strategy, you want to find these users and try to join some of the group boards they’re currently collaborating in! Rather than searching for group boards yourself, it’s so much easier to just go through the list of group boards from an established Pinterest user. If the user is a collaborator for 50 group boards, that means you can click into each of those group boards and send a request to collaborate for all those boards (as long as they’re relevant to you and are accepting new collaborators at the time). Imagine all the time you’re going to save! I was wondering if you’re accepting new collaborators for your group board – Blogging Tips & Tricks. This message format works for this strategy because group board owners love pins that are relevant and useful to their boards! Good pins increase board engagement and becomes a win for the owner. If you implement both of these group board strategies, you’ll end up getting lots and lots of group board invites! The more relevant group boards you’re a part of, the higher the potential reach you’ll get for your pins. I now pin daily to my new group boards! Now that I was actually a part of different group boards, whereas two weeks ago I wasn’t in any, I now am able to share my pins daily onto all 15 of the group boards I’m involved in. Since there are a lot of followers on these group boards + the collaborators, I’m consistently getting group board invites because people like my pins and also because they notice I’m already involved in so many group boards. Once you get onto some Pinterest group boards, it’s time to take Pinterest more seriously so that you can insanely grow your blog traffic! I hope you enjoyed this post and don’t forget to follow me on Pinterest and repin the image at the top. It’ll help others get more group board invites 🙂 Comments are also welcome! Great tip about checking on what group boards you’re being posted on! Thanks for the article! You have highlighted another feature of Tailwind that I would find useful. Why do I not have Tailwind? Oh, I’m a scatty old man. I remember. Great ideas here. I keep hearing about Tailwind. It’s about time I finally check it out. Impressive Stephen. Being social and asking folks has its benefits. Folks fear asking to Pin to boards, and even more fear Pinning other bloggers and commenting genuinely on their blogs. Seems so weird to me. Why not help folks, have fun and succeed? Pinned and Tweeted buddy. I agree, Ryan. I think a lot of people fail to see blogging as a community but instead, see it as a competition instead. We go farther when we support one another and Pinterest is a great platform to do that 🙂 Thanks for the tweet! I followed you. Hope we can connect again in the future. Awesome tip. I’m going to try it tomorrow. We have tons of viral pins for our Etsy shop but never been really into the networking side of Pinterest. Hoping to change that in the near future. Thanks again for the tip, I’ll let you know it works for us. Thank you for the tips! I am going to start using this email format today! You’re welcome, Jade! Best of luck! Hey, these seem to be quite useful ideas for joining multiple group boards. I usually found it difficult to join a bigger group board. Since some invite limited members while others are closed groups. Thanks for sharing some helpful tips. I’ll surely try these to gain attention of more Pinterest viewers. No problem, Harry. It’s true that some group boards are harder to join but I think you’ll find that they’ll more likely accept you as you gain a higher Pinterest reach and get more followers! Hi! Very nicely explained. Step by step. Awesome. I was searching for this info from the last few weeks. uh !!! Soooo relieved! Thank you for helping ppl. opps ! 1 thing i forget to say. Here is my simple blog. Pl if you hv time hv a look too.. thnxx alot.